Honorary co-chairs Lionel and Kathy Sosa welcomed guests to Arts E Platters at SAY Sí fundraiser and art show featuring unique, one-of-a kind decorative, collectible platters created by San Antonio artists. The evening event also recognized Louis Barrios as the 2018 Art of Humanity Award winner. The event benefitted the Autism Treatment Center. 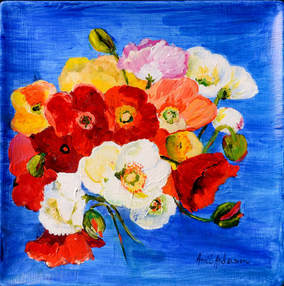 Attendees and artists included Rita Feik, Mary Whitten, Ana Montoya, Lucy Peveto, Fabian Lainez, Cristina Sosa Noriega, Russell Stephenson, Sharon McCarty, Ana Hernandez, Franco Mondini Ruiz, Abril Viola, Adam Lucero, Dee Murff, Liz Chiego, Diana Barrios Trevino, Ron Botello, Maureen “Momo” Brown, Amanda Furr, David Zamora Casas, David Anthony Garcia, Sharon Kotzue, Jeff Hull, Ann Salas, Cody Vance, Cindy and Paul Morawski, and David Anthony Garcia. Houston socialite Lynn Wyatt and moderator Michael Quintanilla participated in a Q&A chitchat about art, philanthropy, her best friend, the late Princess Grace of Monaco, hosting dignitaries and celebrities such as Princess Margaret, Mick Jagger, Elton John, her steadfast friendship with Andy Warhol, and, of course, fashion, all part of the Briscoe’s newly acquired Andy Warhol collection on exhibit with Billy Schenck’s. 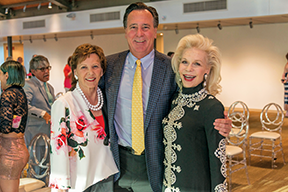 Lynn Wyatt, the grande dame of Houston society and one of Texas’s premier philanthropists, is the subject of four now-famed portraits by Andy Warhol. Guests included: Valerie and Jack Guenther, Karen Pirinelli, Emily Petty, Tawana Timberlake, Gio DiZurita, Lindsey Bolner, Nicole McLane, Xitlalt Herrera Salazar and Ramiro Salazar. Olé San Antonio, the summer-long program celebrating San Antonio’s connection to Spain and the city’s Tricentennial is ending, but don’t miss this last experience. This monumental initiative is built around three key pillars: Gastronomy, Music & Dance, and Art & Architecture. The final Ole experience on September 14 will be held at the Stables at the Pearl, which will be transformed into a Spanish-inspired “Tablao” to showcase dynamic entertainment and great culinary fare by Chef Johnny Hernandez. The fun begins at 6:00 p.m. with entertainer Luis Gallo, one of the most acclaimed guitarists in the flamenco scene who hails from Madrid, Spain. Chef Hernandez will create a dinner worthy of the occasion—complete with a Paella cooking demonstration. The evening begins with passed Spanish tapas—Manchego con membrillo, Gazpacho shooters, and Croquettas de Jamón—and dinner is served family-style. The menu features a tomato and caper salad, Paella Valenciana (Spanish rice with mussels, Spanish chorizo, tender chicken and pork belly), Spanish Green Beans, Champinones al Ajillo (Spanish brown button mushrooms), Grilled Baguette with Olive Oil and Sea Salt, and Flan de Naranja. Full bar service to include Spanish wines, Gin and Tonics, and Sangria. Tickets are $125 and can be purchased online at: https://ole2018.ticketbud.com/tablao-luis-gallo. Online ticket sales will end September 13. Culinaria is unveiling a new, delicious and exciting concept: the San Antonio Food Trails. The trails will be a categorized journey to restaurants that offer some of the region’s best local cuisine, as decided by a committee of leading local restaurateurs, foodies and culinary ambassadors. Celebrity Chef Johnny Hernandez is helping lead development of the San Antonio Food Trails. San Antonio Food Trails is designed to be a convenient way for the savvy travel planner to get the most out of their culinary adventure to the Alamo City, while also providing locals with a new way to explore the tastes of their community. The list of restaurants that make up the inaugural San Antonio Food Trails will be unveiled this fall. Trails will be divided into four categories: margaritas, BBQ, tacos and a non-judged “Where the Local Chefs Eat” section. Ten to 12 stops will be identified for each of the Food Trails. Restaurants will have to have been open at least one year, be a contributing member of the culinary community, have an online presence and provide some of the city’s most unique dining (or drinking) experiences. The committee is looking to create an eclectic mix of chef-driven restaurants and locally owned eateries acclaimed by critics and the public alike. • They must be locally owned and operated and located within Bexar County. • They must make efforts to source their food locally, within 150 miles. • They must participate in city efforts to promote culinary events in San Antonio. • They must be established as a business by designated city, county or state entities. • They must have an active website and/or social media site viewable to the public. DC Partners landmark San Antonio project, The Arts Residences at the Thompson San Antonio, has sold an unprecedented 60 percent of its luxury condominiums since the sales gallery opening a little over one year ago. San Antonio’s premier River Walk address, The Arts attracts individuals seeking to trade suburban living for the excitement of downtown. Located in the epicenter of San Antonio’s vibrant performing arts district, the 337,000 square-foot mixed-use development encompasses luxury condominiums atop San Antonio’s first Thompson Hotel and a leading-restaurant with a world-class chef, private entrance, concierge service and security. Currently, The Arts ground level slab will be completed by the end of September and the retaining wall at the River Walk has been installed. The project is on-track to meet all construction milestones and scheduled completion for first quarter 2020. 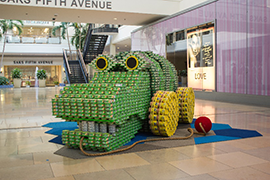 North Star Mall will host the 13th annual Canstruction® competition as one of the San Antonio Food Bank’s events to raise awareness and funds for hunger relief. Canstruction® is a non-profit organization in which teams of architects, engineers, construction firms and students compete to create giant structures made entirely out of canned food. After the event all food is donated to the local food bank. Ten teams representing the San Antonio chapters of The American Institute of Architects and the Society for Design Administration have registered to participate. Their work begins on Sunday, Sept 9 when they are given 12 hours to defy expectations, logic and gravity as they assemble giant sculptures using approximately 30,000 cans of food. The sculptures will remain on display at North Star Mall through Saturday, Sept 22.